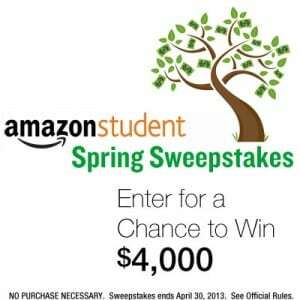 Wow, Amazon sure does love giving away stuff ( 😀 ) Click here to visit their site and fill out the form to enter their “Student Spring Sweepstakes.” One lucky winner will score $4,000! You’ll have until April 30th to enter this one. Good luck!